Get The Lowest Available Rates - Book Direct and Save! Quality Inn & Suites - Hollywood Blvd & Port Everglades Cruise Port, a budget-friendly, full-service pet-friendly hotel in Hollywood, Florida, near Port Everglades cruise port and the Fort Lauderdale/Hollywood International Airport (FLL), has received the 2016 Fido Favorite Award. The Hollywood hotel was recognized by BringFido, a well-known pet-friendly hotel and dog travel directory. Quality Inn & Suites - Hollywood Blvd & Port Everglades Cruise Port received the highest possible score of 5 out of 5 bones to receive the coveted pet-friendly hotel award. "We understand that pets are a part of the family for most owners. 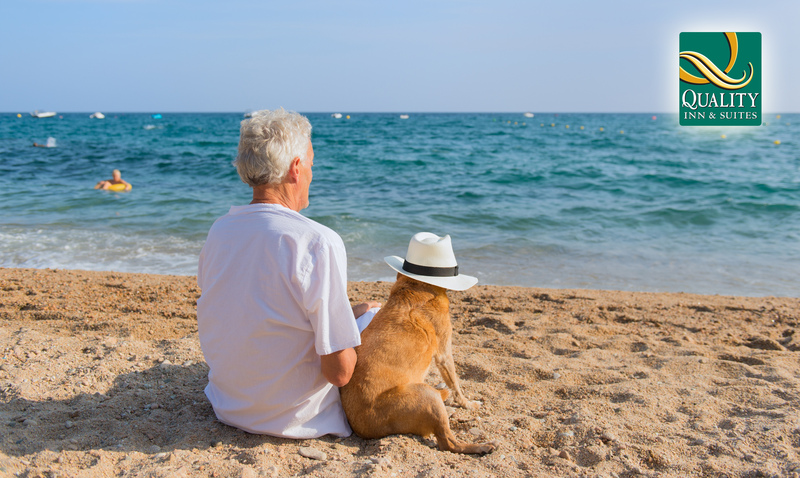 Being a pet-friendly hotel is what allows that family to vacation together," stated Izzy Fintz, Hospitality Manager at Quality Inn & Suites - Hollywood Blvd & Port Everglades Cruise Port. "For us, it is about going above and beyond for all our guests, of the two and four-legged variety. We are very excited be the recipients of the Fido Favorite Award, and hope more pet owners choose us in the future." According to BringFido, the directory's staff went through thousands of received user reviews to determine the best hotels for dogs and their human companions. Only a small fraction of reviewed hotels qualify for the award. In addition to the recognition by BringFido, Quality Inn & Suites - Hollywood Blvd & Port Everglades Cruise Port has also received an official award certificate, and will display it proudly in the hotel lobby. Quality Inn & Suites - Hollywood Blvd & Port Everglades Cruise Portis a budget-friendly, full-service pet-friendly Hollywood, Florida hotel in close proximity to popular South Florida tourist destinations such as Hollywood Beach, Fort Lauderdale, Miami, Port Everglades cruise port and the Fort Lauderdale/Hollywood International Airport (FLL). Located right on Hollywood Blvd, just minutes from the beach, this Hollywood hotel is a perfect destination for families and cruise vacationers. Guest services include shuttle transportation to the airport and cruise port, long-term cruise parking, complimentary breakfast, heated outdoor pool, whirlpool tub suites and Wi-Fi. For more information, visit www.hotelhollywoodfl.com or follow the hotel on Facebook. Quality Inn & Suites - Hollywood Blvd & Port Everglades Cruise Port is a member of Choice Hotels International, Inc.® (NYSE: CHH).